Rafael Ábalos is a Spanish lawyer. He was born in 1956. CLICK HERE FOR MORE STORIES BY RAFAEL ABALOS. 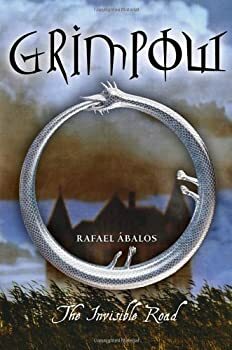 Grimpow: The Invisible Road was written for young adults by Spanish lawyer Rafael Abalos and translated to English after its success in Europe. The story is a medieval mystery/historical fantasy set in early 14th century Europe. Grimpow is an illiterate orphan who stumbles upon the dead body of one of the last of the Knights Templar who was on a quest to secure the philosopher’s stone from the grasp of King Philip IV and Pope Clement V. The king and pope, in order to get control of the stone and its promise of wealth and wisdom, had accused the Knights of heresy and were in the process of eliminating them. On the dead knight, Grimpow finds a letter, a seal, and a magical stone which gives him the ability to understand written languages and the desire to find wisdom. He takes up the search for wisdom while trying to keep the stone out of the hands of King Philip’s inquisitor.